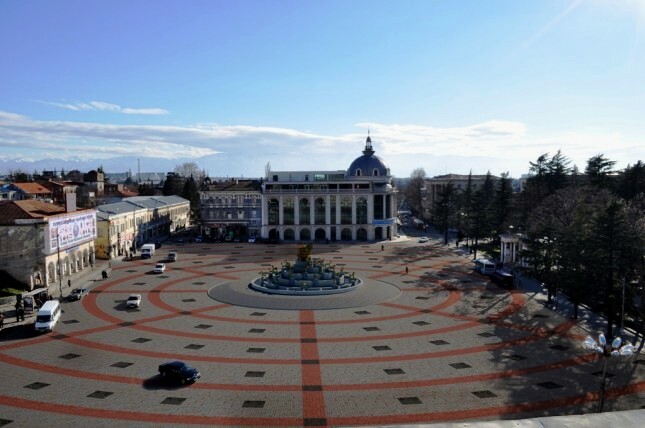 One of the most beautiful cities of Georgia – Kutaisi, is located in Imereti - also rarely beautiful region. The city, as a settled place was born (founded) near the mouth where the River Rioni’s narrow and deep gorge outfalls to the plain. Kutaisi is considered as one of the oldest cities in the world. The old Greek history and mythology dates the city by the “Epoch of Minos” (XVII-XV centuries B.C).The well known “Argonautica”, which express the tidings older then 3300 years, is totally focused on the main city – Kutaisi.Starting from the ancient times and even later in feudal age, Kutaisi endured its leadership position in western Georgia (Kolkheti, Egrisi, Lazeti). In 6th century Kutaisi, as the capital of Egrisi Kingdom, became a military polygon of Persia and Byzantium, but as a final result, with the support of Christian Byzantium, city was taken back by Georgians and from 8th century it is a capital of United Kingdom of Egrisi and Abkhazia. In 10th century the importance of Kutaisi is getting(emerging) even bigger as it becomes the first capital of United Kingdom of Georgia and the residential place for King Bagrat III. As a symbol of Unity of the country, he built a beautiful “Bagrati” Cathedral in Kutaisi. Kutaisi was capital of United Georgian Kingdom for 124 years after that. In 1089 Davit the Builder became the king of Georgia. In 1122, he freed Tbilisi from Arabs and moved the capital. That is the time when the Kutaisi History, as a capital of Georgia is finished. During the period of David the Builder, the unique architectural monument – “Gelati” Monastery and higher Ecclesiastic Academy was build near Kutaisi.From the 15th century until 1810 it was the capital of the Imeretian Kingdom. In 1508, the city was captured by Selim I, who was the son of the Sultan of the Ottomans at that time, Bayezid II. During the seventeenth century, Imeretian kings made many appeals to Russia to help them in their struggle for independence from the Ottomans. Totleben( Russian military) helped King Solomon I of Imereti recover his capital Kutaisi on August 6, 1770. Finally Russian-Turkish wars ended with annexion in 1810 of the Imeretian Kingdom by Russian Empire.The city was the capital of the Gubernia of Kutaisi, which included much of west Georgia.Despite of loosing the status of capital, Kutaisi has never lost its place in History of Georgia. Kutaisis is still a cultural, educational and tourist center of the country.